Ok, so you guys know that Van and I are big fans of the SALT conference. Not only is it’s organizer and leader, Luke McElroy, a good friend of mine, it’s one of those special conferences that truly seeks to inspire and refresh technical and visual artists in the church. I love the sense of community that happens each year, and I have met many of you at the previous two conferences. This year for me, it has the added bonus of being 20 minutes from my house. I’m digging living in Nashville! We’re at the end of September, and SALT is just a few weeks away. The conference is almost sold out for the year, but we have a deal for you. Luke has generously made available a special discount code that will save you $20 off each and every ticket you buy. Use the code AUDIOROCKS to save $20. • There will be over 45 classes on topics such as ideation, creative leadership, audio and technical planning. The lineup of people teaching these classes is amazing. Luke and his team have done an incredible job of bringing in people who are not only great at what they do, but have a genuine passion for helping others get better. Hanging out with the instructors is one of the highlights for me. • Keynotes include Erwin McManus (Mosaic in LA), Blaine Hogan (Willow Creek) and Alex Seeley (former Planet Shakers). These are creative, passionate people. I don’t know about you, but I need to be inspired frequently. This is a great way to be encouraged and inspired. • Hear from the brand new Art of Audio track including Andrew Stone, Brad Duryea, Van, me and more! This year Luke asked me to help coordinate an audio track of classes. I called in some favors of some of our favorite audio gurus to make sure you’ll learn something new. • Community groups. One thing we talk about over and over again is how much we need community among technical artists. SALT is about the only conference that I know of that not only encourages community, but schedules it. You’ll get to meet and talk with others who are just like you, offering encouragement and the opportunity to encourage. This is one of the highlights of the week. Of course, you also have the chance to hang out with Van, me, Duke and many other CTW regulars. We love meeting you guys and always look forward to the conversations we have. Basically, it’s a few days of refreshment, encouragement, inspiration and fun. Plus, you get to hang out in the greatest city in the world, Nashville. 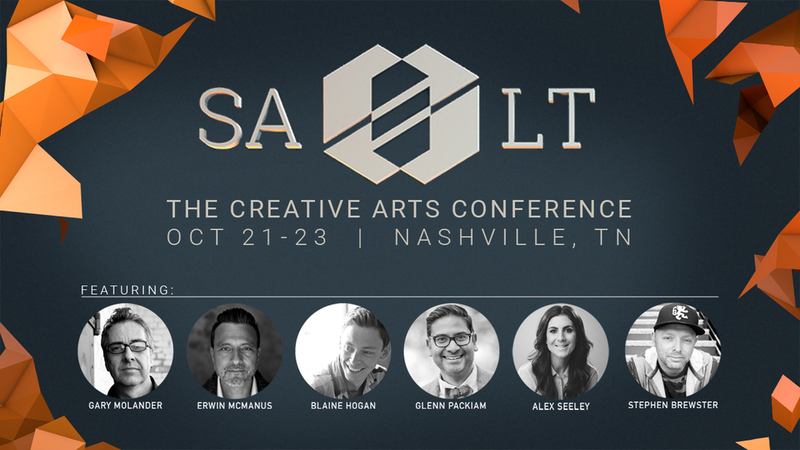 So here’s what you need to do; go to SALTNashville.com and register. Use the code AUDIOROCKS to save $20. Then figure out how to get here and where to stay. The website offers suggestions on both. Then get ready for a few great days that will keep you going for a long time. And do make sure to say hi to Van, Duke and me while you’re here. And come to our classes, or we’ll be sad.